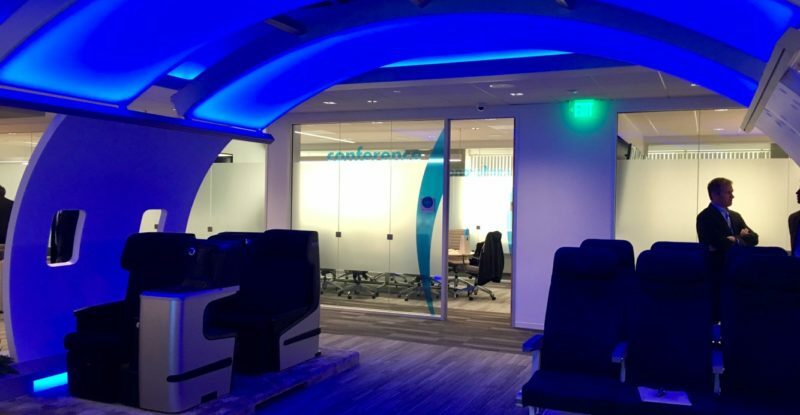 When Thales set about designing a new, cutting-edge Customer Experience Center at its ever-expanding Thales InFlyt Experience campus in Irvine, California, the firm was definitely aiming for something a little different. 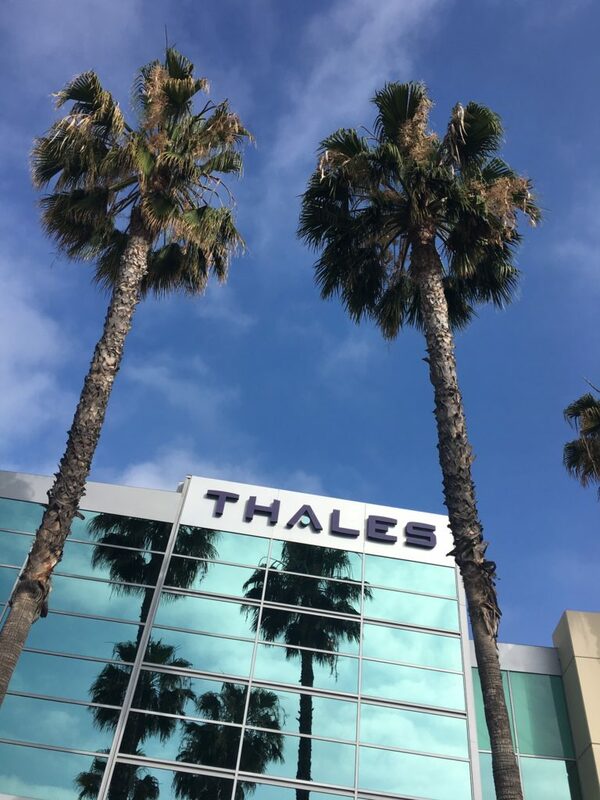 A beautifully laid out, 62,000 square foot facility covering roughly 1.3 football fields, the Customer Experience Center is commonly referred to by Thales execs as the “crowning achievement” of the Irvine facility’s growth. And after touring it last week with a contingent of aviation journalists from around the globe, it’s easy to see why. 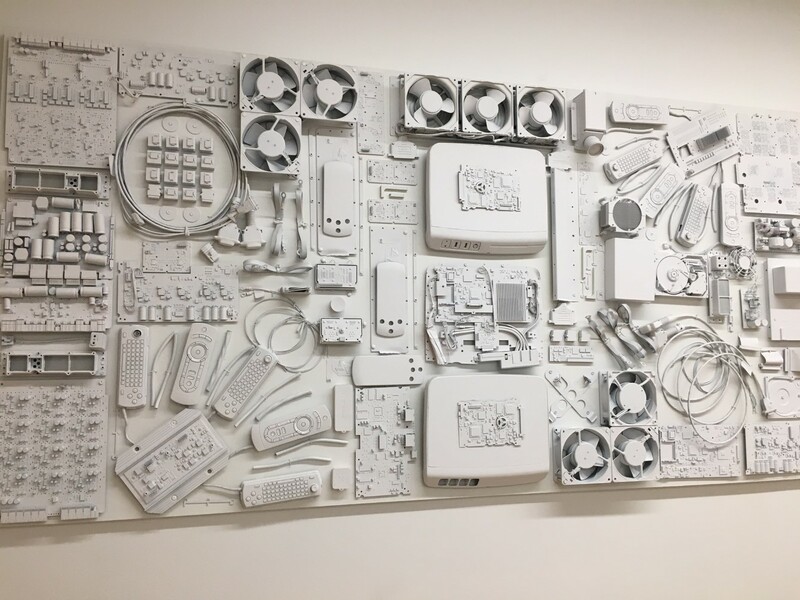 Rather than mimic the boxy, utilitarian design of some contemporaries, Thales sought inspiration instead from a wide range of sources, including everything from Japanese-inspired “lean thinking” principles to the surprisingly progressive Taco Bell headquarters located, quite literally, across the street. And nowhere is the reflection of who Thales really is on finer display than in the facility’s 24,000 square foot, state-of-the-art IFE lab. “We call this our Customer Experience Center because this is the final integration and test facility where we bring the airlines and the OEMs, Boeing and Airbus, to come witness our integrated IFE solutions … so, really the cornerstone of this building [is] the IFE labs,” says Thales Director, Engineering Operations Management, Brian Crossman. 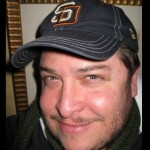 “Our legacy labs were a bit noisy and hot and not very comfortable … they also didn’t look so good. So, we went through a design process [here] where we involved all the different disciplines, from facilities to engineering, sales, marketing, and, most importantly, our airline customers, some very top-tier customers, who had some very candid feedback about how we could improve our layouts and our test methodologies to test more like the aircraft, and you see that reflected in the layout of the labs here,” says Crossman. 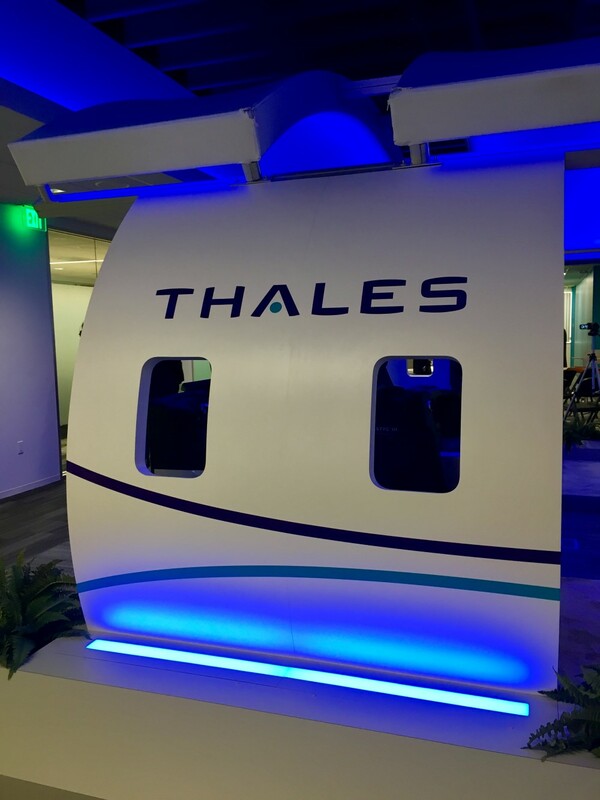 Though we were not allowed to photograph them, the labs feature sleek, specially-designed Thales fixtures which offer team members a modular, scalable environment where they can hang differently sized displays and controllers to often stunning effect. And thanks a remote IT room that houses the headend racks, another thing Thales’ relatively quiet IFE lab doesn’t require is ear plugs. “One of the key features of the lab is that we’ve moved all the headend racks into a remote IT room [which] took all of the noise and the heat associated with the cooling fans and put it into one compartmentalized area.” An innovation that Crossman notes was made possible by raising the lab floor throughout and routing more than 250 miles worth of wiring – “From here to Texas!” he jokes – beneath it. “Right now we have about 40 labs built, but when it’s finally said and done, we anticipate around first quarter 2018, there will be 74 labs total in this facility, including in the mezzanine.” But at the end of the day, Crossman says that what Thales is probably most proud of is how their corporate philosophy of innovation and openness is reflected in every element of the design of its new Customer Experience Center.